Russia's Yars intercontinental ballistic missile systems will take part in the Victory Day Parade on Moscow's Red Square for the first time on May 9, 2015, Russian media reported. "On February 25, a mechanized column consisting of three Yars intercontinental ballistic missile systems left their permanent base in the town of Teykovo in Ivanovo Region and is now on its way to the village of Alabino in Moscow region. The Yars mobile systems will cover more than 400 kilometers of the route, including federal highways with high traffic intensity," Russian Strategic Missile Forces spokesman Igor Yegorov said. Teykovo's Strategic Missile Forces unit has been taking part in Victory Day parades in Moscow since 2008. 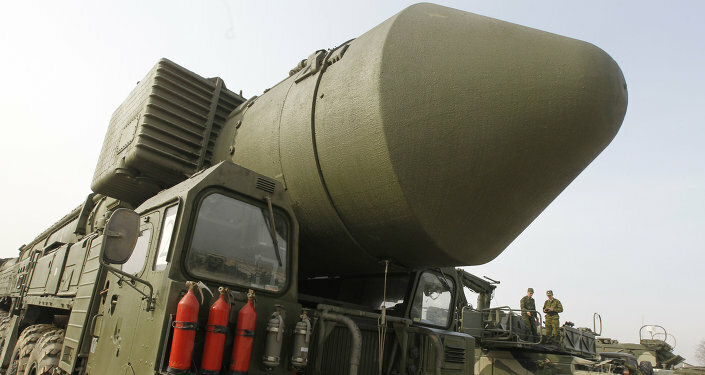 Earlier, the event featured Topol and Topol-M intercontinental ballistic missile systems. The RS-24 Yars is a solid fuel-based thermonuclear intercontinental ballistic missile equipped with a multiple independently targetable reentry vehicle. It was first tested on May 29, 2007. The 2015 Moscow Victory Day Parade is due to commemorate the 70th anniversary of the capitulation of Nazi Germany in 1945, which formally ended hostilities in the Second World War in Europe.